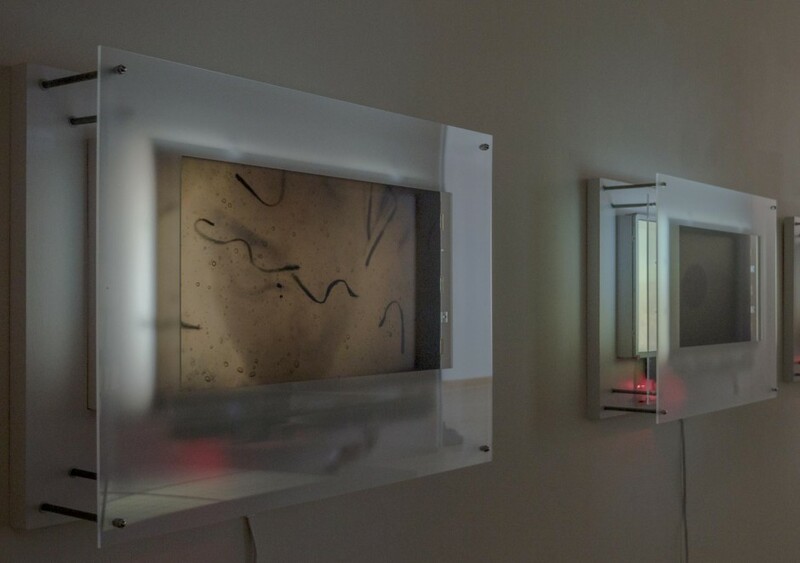 Claudia Esslinger is a visual artist currently working in media-based installation and hacked/constructed LCD components. A common thematic thread through her projects is a poetic exploration of inequities and inconsistencies in both the human and natural worlds. Tactile surfaces are often bracketed by clean industrial or technical elements, such as stainless-steel mesh or layered displays. Viewers are invited to immerse themselves, often affecting changes in various components through physical manipulations. Collaboration with composers, writers, scientists, performers, and dancers enhance these installations. Esslinger has been the recipient of seven Ohio Arts Council Individual Excellence Awards and a New Forms Regional Grant (NEA). Artist’s residencies include the Omora Ethnobotanical Preserve near Cape Horn (2009), Headlands Center for the Arts in Sausalito, California (2007), Singing Pictures workshop in Seoul, South Korea and the Grafikwerkstaadt in Dresden, Germany. Originally from Long Island, NY, Esslinger teaches new media and installation at Kenyon College, Gambier Ohio.